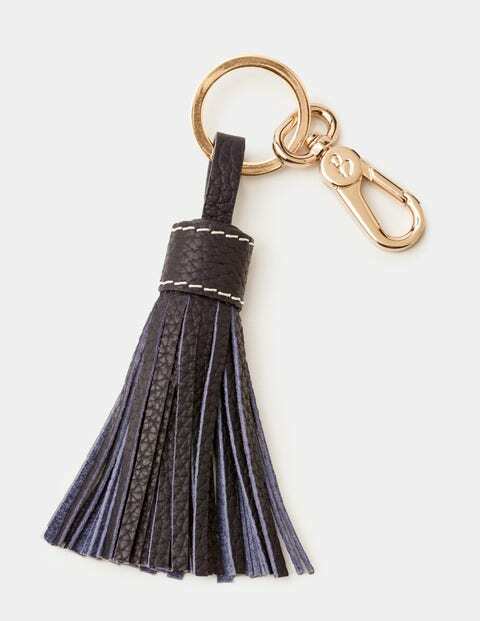 The days of losing your keys in the depths of your handbag are over, thanks to our tassel keyring. This elegant accessory is made from durable leather and has our 'B' engraved on the clasp. It clips right on to whatever accessory you fancy – perfect for adding contrasting colour to your favourite tote or just keeping track of those pesky car keys.